Score Diagnostics Limited paired up with our sister company Score (Europe) Limited for an engineering and technology desktop exhibition on-site at a major oil & gas refinery. 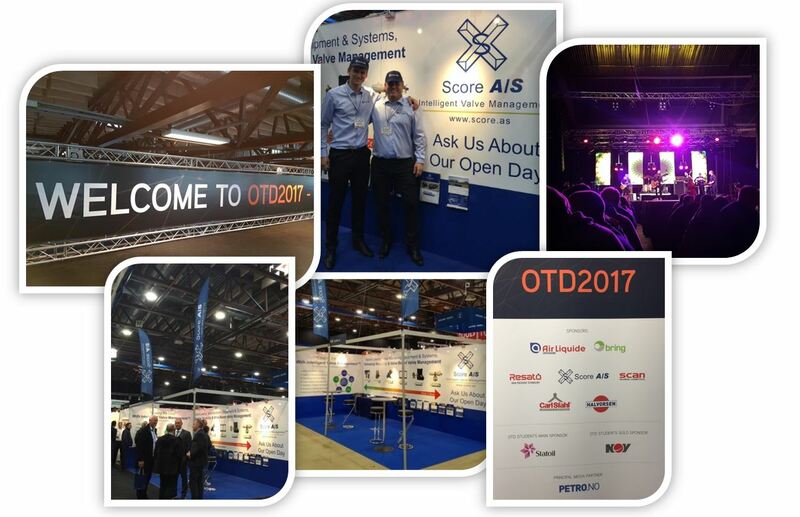 This was a fantastic opportunity which allowed us to present all the latest innovative technologies, products and services on offer from the Score Group of companies. Throughout the day we had a steady stream of visitors keen to find out what we had to offer them to support the most efficient and effective process operations. We provided many live product demonstrations of the MIDAS Meter®, which received great feedback from all visitors to our stand. The demonstration kit on show gave everyone a chance to see valve condition monitoring methods, results and benefits for themselves, since many visitors took the opportunity to have a hands-on experience of using the MIDAS Meter®. This highlighted clearly for them just how quick and easy it is to non-invasively detect, quantify and trend a valve leak using this device, which delivers both operational and strategic advantages for process operations optimisation. Score (Europe) Limited took the opportunity to highlight their broad offerings under the broad Intelligent Valve Management™ banner, including on-site services provision, such as valve engineering and design consultancy, testing, troubleshooting, repairs, shutdown management, bolt torque and tensioning, on-site machining and our unique Valve Response Unit (VRU) services. This was also very well received by the stand visitors, many of whom did not fully appreciate the breadth of valve management / support services that the Score Group can offer. 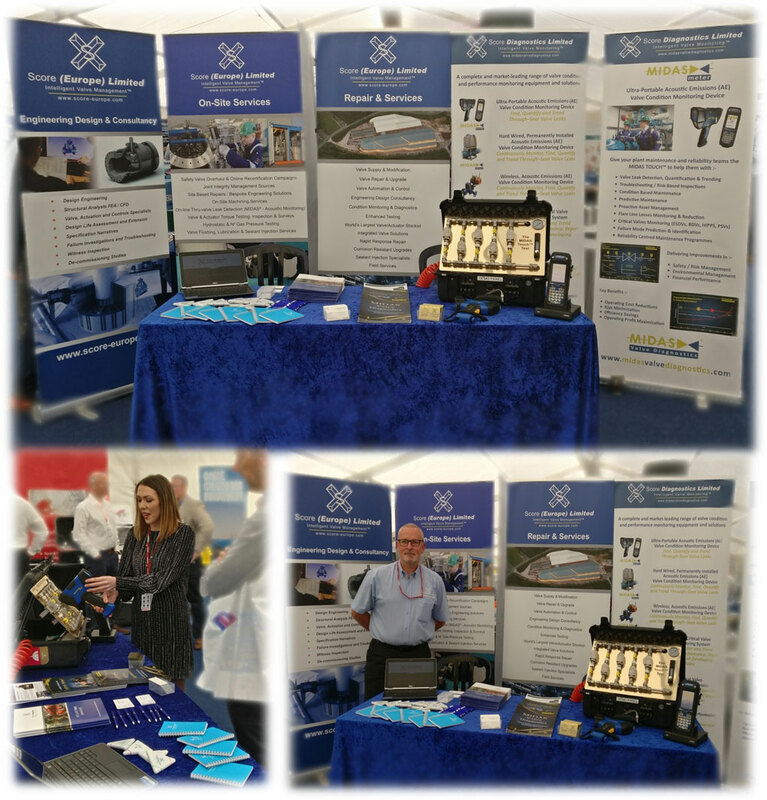 We are currently following up on all requests made for further product information and site demonstrations and would like to take this opportunity to thank everyone who visited our stand and for the hospitality and support extended to us by the event organisers throughout the day. This entry was posted in Midas Meter, Score Diagnostics and tagged acoustic emissions, condition and performance monitoring, Valve Condition Monitoring, Valve Leak Detection, valve performance on May 31, 2018 by midas. 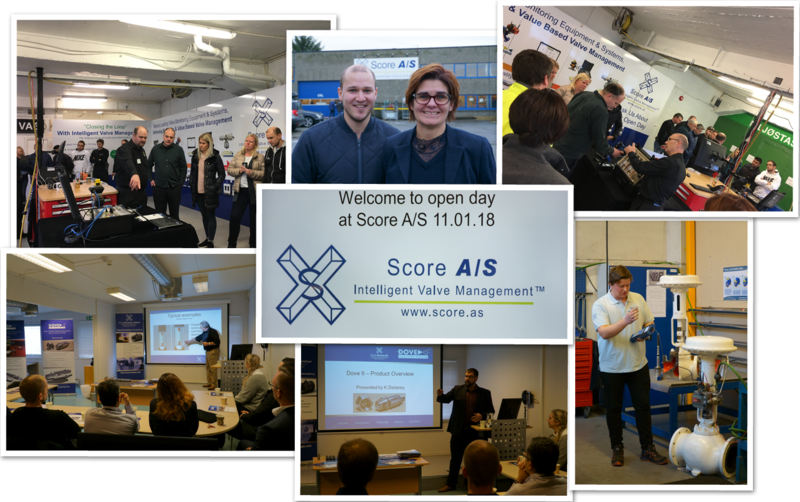 On Thursday 11th January 2018, Score Diagnostics Limited paired up with our sister company Score A/S in Stavanger, who opened their doors to showcase working demonstrations of all the latest innovative technologies, products and services from Score Group plc companies. Visitors to the Score A/S facility were warmly welcomed and given a grand tour of the premises. Over the course of the day various presentations & live demonstrations were given, showing an insight to the range of innovative technologies, products and services offered by the Score Group. These included; MIDAS® range of valve diagnostic products and services, DOVE™ Sealant Injection Fitting, Valve Testing, Engineering, Strategies, Maintenance and Control Valve Diagnostics capabilities & services, along with an overview of Score’s Supply Chain Management. Score Diagnostics’ presentations and demonstrations, which were focused on the MIDAS® range of valve diagnostic products and services, were very well received. Visitors showed a keen interest in how these valve condition and performance monitoring products – which play a key role in Score Group’s Intelligent Valve Management™ Strategies – can reduce operators’ exposure to risk and deliver maximised safety and operating efficiency on process plants. The live product demonstrations of the Midas Meter®, Midas® Sensor and V-MAP® received great feedback from our visitors and gave them a chance to see the valve condition monitoring results and benefits for themselves. Many visitors were also able to have a hands-on experience of the MIDAS Meter®, highlighting for them just how quick and easy it is to detect, quantify and trend a valve leak using this device. Following on from the customers’ open day, Score Diagnostics personnel also carried out an enhanced products and benefits familiarisation and training session with an assembled team of Score AS personnel. This session also received very positive feedback from those that attended. Overall, our time in Norway was a very productive and positive experience and it was a pleasure to meet customers old and new alike. We would like to take this opportunity to thank everyone who attended our presentations and product demonstrations and for the hospitality and support extended to us by the Score A/S Team. 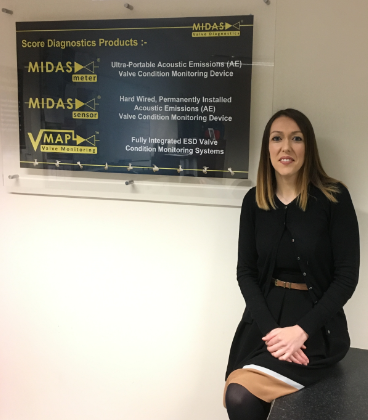 If you were unable to attend the Score A/S open day and would like further information on the MIDAS® range of valve condition and performance monitoring products, please contact us at Midas.Enquiries@Score-Group.com. This entry was posted in Score Diagnostics on January 22, 2018 by midas. This entry was posted in Score Diagnostics and tagged acoustic emissions, diagnostics on December 18, 2017 by admin. This entry was posted in Score Diagnostics and tagged acoustic emissions, Exhibitions, Midas Meter, Valve Condition Monitoring, Valve Leak Detection, valve performance on November 23, 2017 by midas. 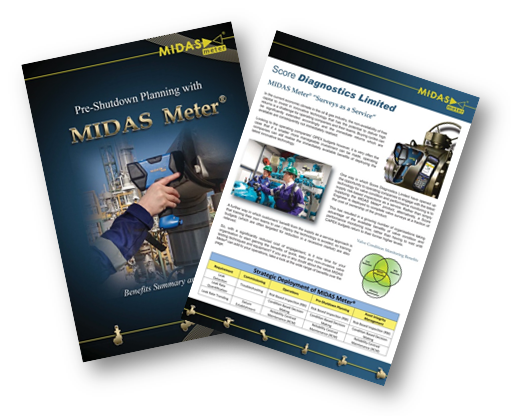 Whilst MIDAS Meter® has an extensive field-proven track record of adding value in the in Oil & Gas, Petrochemical, Nuclear and Fossil Fuel Power Generation industries, it had never previously been used on a Biomass Energy Plant. This entry was posted in Midas Meter and tagged acoustic emissions, Midas Meter on October 31, 2017 by admin. This entry was posted in Midas Meter and tagged Midas Meter, Training on October 27, 2017 by admin. This entry was posted in Midas Meter and tagged communicator, Midas Meter on October 27, 2017 by admin. It’s never been easier to quickly and easily reduce operating costs and risks and maximise the efficiency and profitability of your process. This entry was posted in Score Diagnostics and tagged acoustic emissions, acoustic sensors, condition and performance monitoring, condition based valve monitoring, condition monitoring, Valve Condition Monitoring, Valve Leak Detection, valve performance on July 27, 2016 by admin. 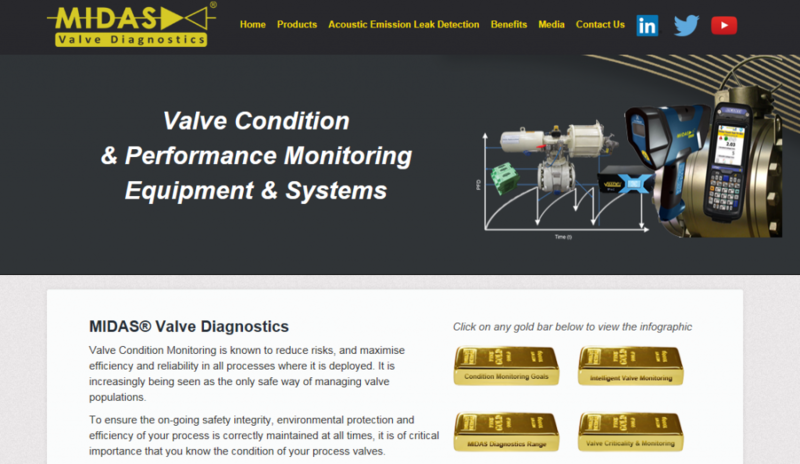 Gain all the benefits of Valve Condition and Performance Monitoring, for minimum investment. It is entirely normal and expected that you have to spend a little when you want to save a lot. A new project where you know that a modest investment can deliver a massive return sounds like it would be easy to get a budget for, however… When CAPEX (Capital Expenditure) budgets are not readily available, it’s easy to assume that all the desired benefits of your new initiative or project are going to be missed out on. Not so. Looking towards funding the project from the OPEX (Operating Expenditure) budget can sometimes still deliver most of the project value. This entry was posted in Midas Meter and tagged acoustic emissions, acoustic sensors, condition and performance monitoring, condition based valve monitoring, condition monitoring, Valve Condition Monitoring, Valve Leak Detection, valve performance on July 27, 2016 by admin. Score Diagnostics Limited is pleased to launch its YouTube channel, featuring videos on our fantastic range of products. Click here to check it out and let us know what you think. This entry was posted in Score Diagnostics on July 27, 2016 by admin.